All of our replacement windows are made with fully extruded virgin vinyl frames and sashes for durability and beauty with no chipping, peeling, cracking or warping. All colors are formulated right into the vinyl, so the color never fades and your windows will never need painting or staining. Airtight insulating chambers and insulated glass units provide energy-efficient performance throughout every season. And all of our selected windows will operate easily, even after decades of regular use, thanks to a stainless steel, high performance system. 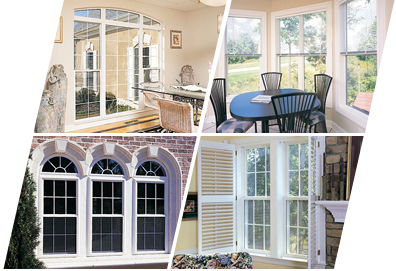 Best of all, our replacement windows gracefully enhance the architectural style of your home, whether it’s traditional or contemporary. Ranging from feature-packed models to high-quality value-driven models, we know there’s a model to fit your specific style, performance and budget needs.